If you or a loved one is seeking addiction treatment in Tennessee, there are plenty of drug rehab facilities that offer interventions such as detox, family therapy, and relapse prevention. Those who are suffering from drug or alcohol addiction can choose from a diverse list of drug rehab facilities in Tennessee. 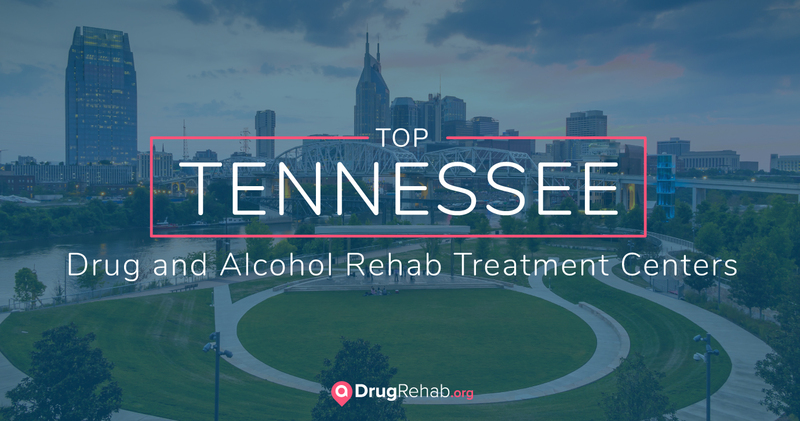 The following list of inpatient drug rehab centers in Tennessee have been chosen based on their level of treatment, success rates, and online reviews. Cumberland Heights is a non-profit treatment center that sits on 177 acres next to the Cumberland River. This facility offers medical detox, inpatient treatment, outpatient treatment, and extended care. Cumberland Heights provides gender-specific treatment, and specializes in adventure-based therapies such as equine, art, music-assisted therapy, yoga, and a labyrinth experience. The Oaks’ approach to treatment is focused around integrated, evidence-based care for those suffering from co-occurring disorders. Diverse therapies and process groups include trauma resolution, boundaries, spirituality, and anger management. Additionally, The Oaks offers holistic therapy options, such as meditation, massage, and mindfulness. At Focus Treatment Center, clients participate in dialectical behavioral therapy, intensive relapse prevention groups, shame resilience and self-compassion on a campus of rolling hills. Focus offers detox, residential, outpatient, and partial hospitalization treatment, and a low patient-to-staff ratio is always maintained. Brookhaven Retreat offers mental health and addiction treatment for women in the Smoky Mountains. The tranquil grounds and modern amenities make for a serene escape, where clients can reconnect with themselves and the vision they have for their lives. Clients enjoy a low ropes course, ballpark, and nature trails, along with spa-style cuisine and restorative fitness regimens. Centerstone serves a wide variety of individuals suffering from mental health and behavioral health challenges, focused on the philosophies of recovery and resiliency. Outpatient therapy, counseling, and family therapy are all offered by a team of dedicated professionals. Substance abuse treatment, sexual abuse counseling, psychiatric services, and medication management are also provided. At Memphis Recovery Center, there is no single solution for treating addiction. Clients are treated individually, with evidence-based care that promotes a lasting recovery. The goal isn’t to get clients sober, but to equip clients with life skills necessary for a sober life. Memphis Recovery Center provides intensive outpatient and partial hospitalization treatment for men, women, and young people. One of the first steps individuals take toward recovery is the detoxification process. Also referred to as a withdrawal period, the detoxification process happens when someone who has become dependent on a substance stops taking that substance, and their body rids itself of toxins. Because their body is used to receiving the drug, the body may start to exhibit signs of withdrawal. Withdrawal symptoms can differ depending on the substance, but they are generally uncomfortable and include nausea, sweating, anxiety, severe cravings, and irritability. It’s recommended that individuals complete detox under medical supervision, as withdrawal symptoms can be painful, and even dangerous. Opioid withdrawal is not typically life-threatening, but withdrawing from alcohol, benzodiazepines, or barbiturates can be extremely dangerous and should take place under medical care. New Life Lodge, located in Burns, offers a medical detox program that allows individuals to safely withdraw from drugs and alcohol. Their Mirror Lake Recovery Center also offers residential treatment, partial hospitalization, and aftercare programming to ensure clients get the support needed to build a long-term recovery. Residential treatment, or inpatient rehab treatment, is usually offered as the second phase in a treatment plan. After detox, inpatient treatment is there to provide a protected and supportive environment for those in early recovery. At an inpatient facility, clients stay overnight, away from the demands of life and the possible triggers of home. While inpatient facilities have different levels of privacy, they are generally community-oriented in order to socially reacquaint those who have been isolated in their addiction. While it may feel daunting to spend the night in a facility, it can be refreshing to escape the turmoil of addiction. People, places, and things in active addiction can continually lead those suffering back into the cycle of relapse, and staying in a residential treatment center provides the opportunity to truly focus. When someone struggling with a substance use disorder has an additional mental health diagnosis, such as bipolar disorder, it is called a co-occurring disorder. Sometimes referred to as a dual diagnosis, nearly eight million people in the U.S. have a co-occurring disorder. Because dual diagnosis is so complex, many treatment facilities outfit their programs to serve this specific population. It’s vital that individuals with additional mental health concerns get the specialized treatment they need, or the addiction cycle is likely to continue. Cornerstone of Recovery, located just south of Knoxville, understands how to treat co-occurring disorders in their residential and outpatient programs. “Few things rival the stigma of addiction … but mental illness is one of them.” Knowing this, Cornerstone helps women, men, and professionals suffering from co-occurring disorders to begin living lives centered around wellness and responsibility. Because addiction treatment is so personal, some people seeking a treatment facility look specifically for gender-specific treatment. When surrounded by one’s own gender, many people feel more comfortable sharing in group therapy. Many treatment centers offer treatment separated by gender, and other facilities provide focused treatment for LGBT+ individuals. English Mountain Recovery, located in Sevierville, notes there are significant differences in the way men and women experience addiction. English Mountain is on 27 acres in the Smoky Mountains, and offers short- and long-term residential care in their separate women’s and men’s programs. Therapies include creative arts, equine, experiential, and relapse prevention. Contrary to popular belief, luxury rehab facilities exist to serve more than just the wealthy. Although this type of rehabilitation center does come with a higher cost range, private insurance can offset the cost—and the comforting environment provided at luxury facilities can be well worth the price during times of transition. In a luxury treatment facility, clients experience traditional individual and group therapy, and will also enjoy amenities such as massage, spa therapies, acupuncture, and personalized fitness instruction. Luxury facilities are usually nestled on private, serene properties, and are impeccably maintained. Exclusive offerings may also include a gourmet menu and cultural outings. Located in scenic Murfreesboro, JourneyPure At The River is tucked away on 127 private wooded acres. With state-of-the-art accommodations and therapies that include art, music, and equine, JourneyPure offers an inspiring environment in which to begin your recovery. This facility provides detox, gender-specific residential, partial hospitalization, and intensive outpatient treatment. For anyone who has struggled to maintain sobriety, medication-assisted treatment (MAT) can be a life-changing intervention. Through the use of certain medications, drug cravings are quelled and withdrawal symptoms decreased. MAT can be especially useful for those who are addicted to opioids, as the withdrawal symptoms are so acute. Using MAT with Suboxone or other buprenorphine-based medications can both alleviate cravings and lessen painful withdrawal symptoms. This allows clients to begin assessing their next steps for recovery. Conversely, withdrawal symptoms associated with benzodiazepines, barbiturates, and alcohol can be deadly. Those suffering from withdrawal from these drugs may experience seizures, loss of consciousness, or death. Detoxing from these substances should always occur under medical supervision, where MAT can help to stabilize the client. The Suboxone Plan for Opiate Addiction, at Recovery Consulting Services, has locations in Murfreesboro and Nashville. Through the use of detox, intensive outpatient therapy and medication-assisted treatment, The Suboxone Plan helps patients overcome trauma and begin recovery. Because of its protective nature, inpatient treatment remains one of the most proven methods of addiction rehabilitation. By staying in a residential facility, clients are offered a time of seclusion, so they can focus on taking responsibility for their recovery. According to the National Institute on Drug Abuse, treatment lasting at least 90 days has the most favorable outcomes. Residential treatment options exist throughout Tennessee, and many of these facilities will offer different treatment lengths. Sometimes this is referred to as short-term treatment (often lasting 28 to 90 days), or long-term care (lasting 90 days to one year). Especially if someone has had a long history of substance abuse, long-term care is an essential part of building a new life in sobriety. Discovery Place, located in Burns, has a solid reputation for residential care. Their inpatient treatment program is just the beginning for their satisfied alumni, many of whom go on to serve as volunteers or staff at the facility. Discovery Place believes that “having fun and engaging in a fulfilling life is vital to a lifetime of sobriety.” Discovery Place encourages community fellowship, volunteering, and creating a strong recovery network. If you or a loved one has had legal consequences as the result of an addiction, you are not alone. The Tennessee Bureau of Investigation estimates that 80 percent of crimes committed in Tennessee were drug-related. Because of these high numbers, many judges may require that a court-ordered rehab program is completed as part of a sentence, or as an incarceration alternative. Many treatment centers now offer specialized programs for those struggling with addiction as well as legal issues. Jackson Area Council on Alcoholism and Drug Dependency (JACOA) offers inpatient programming, outpatient care, and DUI classes that can fulfill an order for court-ordered rehabilitation. In addition, JACOA offers early intervention classes for those who may be at the beginning of chemical dependency. Many people are unable to attend residential treatment for personal reasons, and intensive outpatient programs (IOPs) can be a sufficient alternative. IOPs may be scheduled in the morning and evening, in order to accommodate those with different work schedules. This allows clients to hone their newfound life skills at home, while debriefing the process in an understanding environment. Most IOPs meet three to five days per week, and may include guest speakers that share on recovery-related topics. IOPs often place a strong focus on sharing and accountability, through group therapy and regular drug screenings. If someone has a history of relapse or requires a medically supervised detox, they should consider a more secure level of care before enrolling in an IOP. Regardless of financial situations or criminal history, there are treatment options available for anyone that is suffering from addiction in Tennessee. Insurance is accepted at many treatment facilities, along with public insurance like Medicaid and Tricare. Additionally, residents are typically covered in part by state- or government-funded insurance vouchers. As Tennessee continues to grow, attracting residents with its music business and picturesque landscapes, Tennessee’s substance abuse rates are also increasing. Opioids are a major drug of abuse in Tennessee. Of the 1,631 overdose deaths reported in 2016, opioids were present in 1,186 of those deaths. Opioid use disorders, substance abuse disorders, and addictions are progressive, fatal diseases. The good news is, Tennessee has prioritized prevention and intervention programs, ensuring that there are ample drug rehab treatment facility options for everyone. To learn more about finding the best Tennessee rehab center for you, contact us today.